It certainly seems so to me. They may be what arrived in Kelly, Kentucky. This is what you get when some writer's kid watched too much Teletubbies. 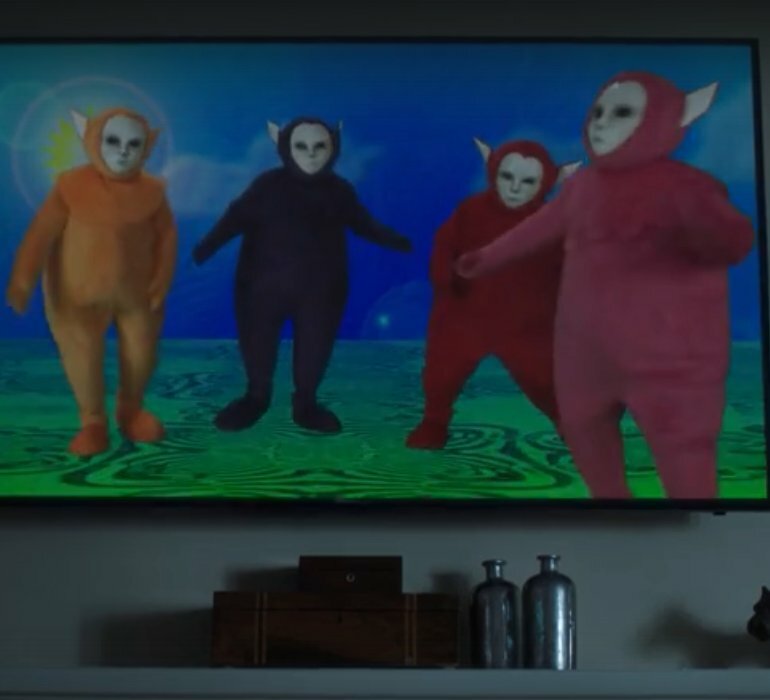 I think their planet is in the same system as the Teletubbies. You can't see it in this picture, but that sun has a giggling baby at it's core. I would hate to admit to that job if someone asked me what I do for a living. I always thought this was from another world…. LOL, what are "Bibbletiggles"? Is that something you found on your tour of space goblinville? "Nuk'm from Orbit … It's the only way to be sure …"
They are an X-File. Do you really want to know? Ahhh!! Kill 'em with fire!! It was from a recent episode of my favorite documentary series, The X-Files. 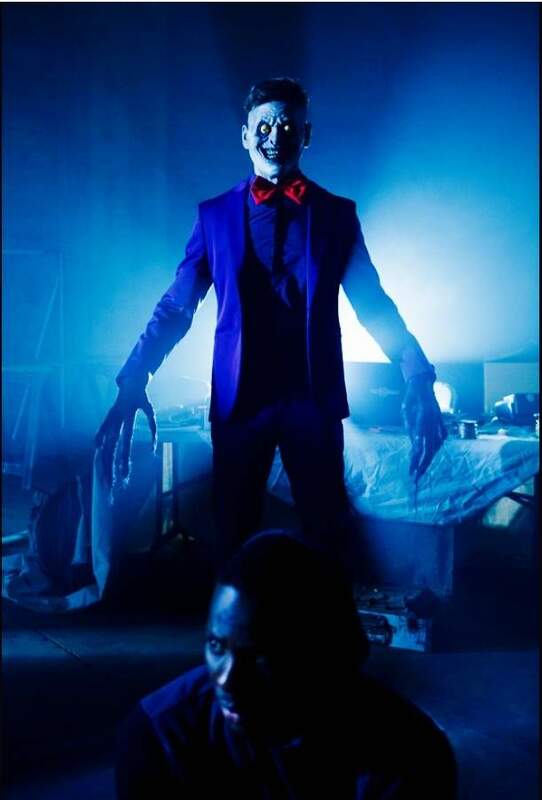 The episode did in fact include Mr. Chuckleteeth, whom I suspect is an MIB by profession. Man, I have a lot of catching up to do. I think I only saw the first two episodes of the return of the series. 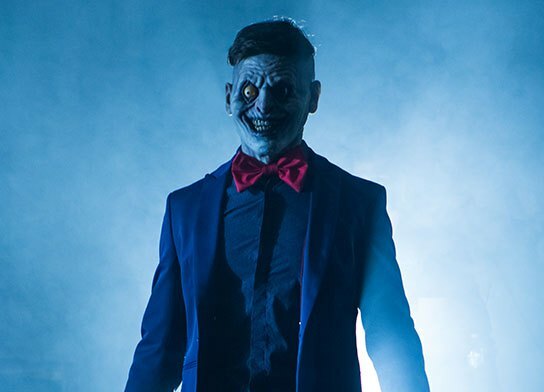 He reminds me a little of the creepy character in Bedeviled (2016). I think Dan, that Gillian always received special treatment, beginning with her wardrobe from Christian Dior, while Ducovney's wardrobe came from Sears. It is rumored that she gained more than casual interest from Chris Carter. The "emergency marriage" to Clyde Klotz spoke volumes for what was going on. Not casting a disparaging point of view. If I wore Chris's moccasins I would have done the same. Skidamarink has got to be what a child's alien abduction looks like, however, I have this overpowering urge to fat-shame the performers, negating the scientific value of my observation.